La Perla celebrated the opening of its new flagship store in Russell Street, Hong Kong, with a special event. 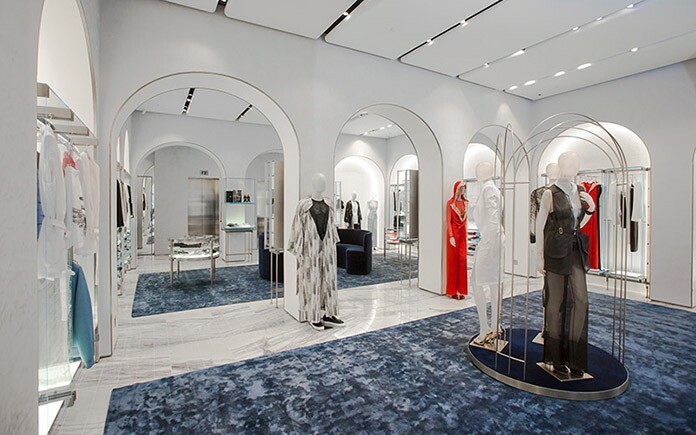 The Hong Kong store is a new addition to the three existing boutiques in the city’s most exclusive shopping malls. A structure lit up and prepared like a film set was constructed at Pier 4, Hong Kong port, which hosted 500 guests including Liu Wen – the Chinese top model who stars in the La Perla adv campaigns and acts as brand ambassador in Asia and actor and model Hu Bing – considered one of the leading fashion influencers in the Chinese area. Guests were welcomed with a performance from the choreographer Bianca Li, who brought together 8 models and 12 dancers, recreating the emotions of a film, dedicated to the world of La Perla creations through the glamour of the ’50s and ’60s. 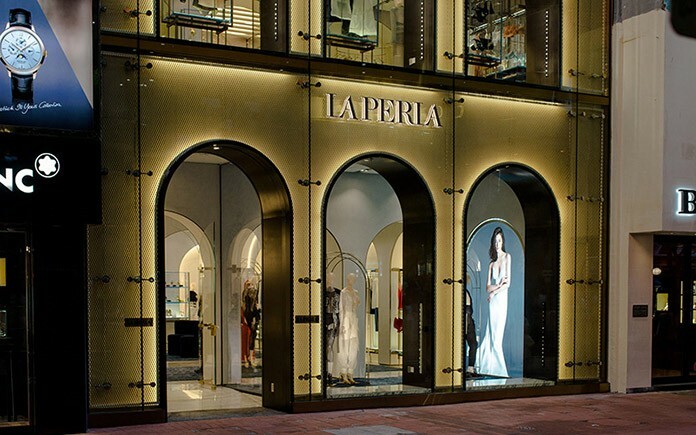 The new flagship store in Hong Kong has been designed by the Italian Architectural studio Baciocchi Associati, which has managed the concept for all the new La Perla boutiques, creating a truly memorable and elegant brand image. Amongst the distinctive elements from great Italian architecture, which architect Roberto Baciocchi took as his inspiration, there are the three arches across the facade of the Hong Kong boutique, cased in backlit metal mesh, evoking the weave of tulle. The facade is dominated by a huge 13×9 metre screen, presenting clips and images from the La Perla campaign and collections. The boutique is spread over four levels, for a total floor space of 600 m2, and the areas dedicated to the women’s collections are bathed in harmonious refined lilac and pale-blue tones. The second floor is reserved for the men’s collections and features shades of grey and blue. The elegant character of the grey Carnico marble used for the floors is punctuated by seats in blue leather and gunmetal-grey steel fittings. 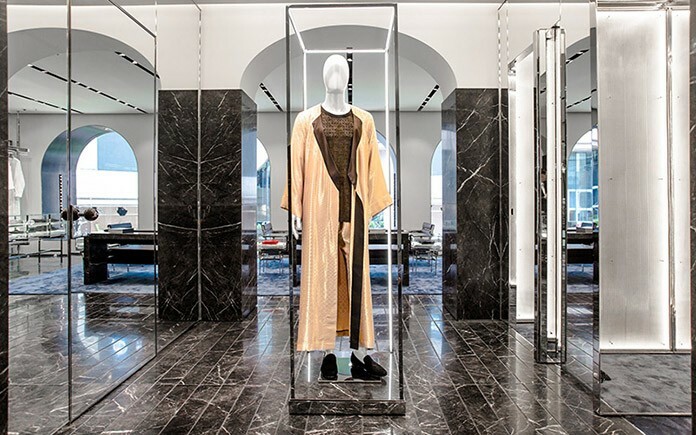 The fourth floor of the new boutique is a private area, dedicated to VIP customers, where they can access exclusive services such as the Atelier and Made to Measure collections. Diffuse lighting and large white leather sofas underline the luxury atmosphere of this space, reminiscent of a lilac-velvet-lined treasure chest. 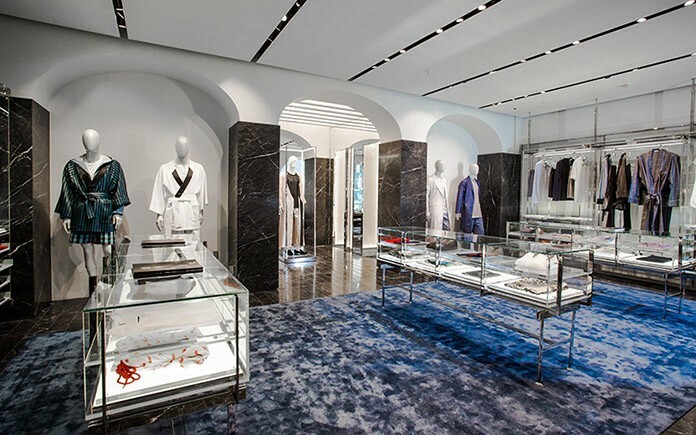 The flagship La Perla store in Russell Street is the twelfth new La Perla boutique opening in just five months, with a particular focus in the Asia area, including the large store opened in Seoul in September, and the new Chinese stores in Beijing and Sanya. Another step in the company’s international retail-consolidation strategy. Next articleCould 2016 Be The Year To Invest In Real Estate?